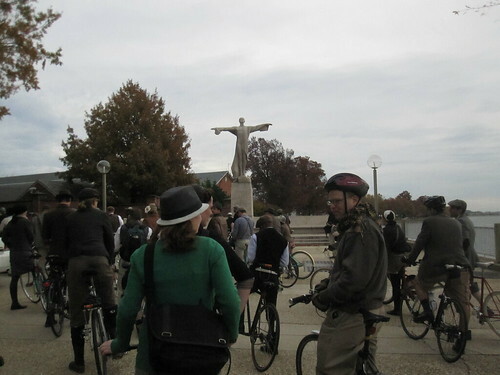 The Tweed Ride was a huge success! I would guess that around 250-300 people participated (it was hard to tell, exactly--bikes take up a lot of space so you can't really clump people close enough together to see them all at once). As you can see, I went with the brown booties. At the last minute I was able to make a top, and I felt brown went best with the overall outfit. They ended up working well and I really do love the style of these crazy shoes. 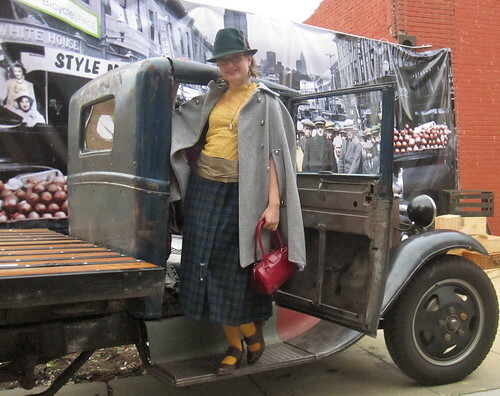 Here's the whole outfit, on a fun set provided by BicycleSpace for our rest stop there. 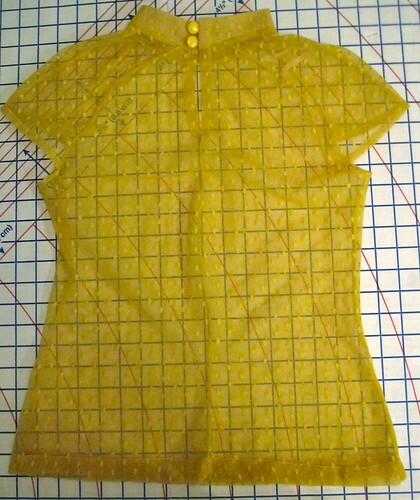 The yellow top was my very last minute addition to the outfit--I found the perfect fabric at G Street on the $2.97/yd table on Saturday and made the top late Saturday afternoon. I made the cape three years ago, but never wear it because it is so motion restrictive and impractical. I was glad to give it another wear for the event! My mom gave me the kilt, a sturdy Pendleton wool from her younger days. The hat came from my trip to Ecuador, and the feather pad was found at Mood (had a quick trip to NYC for work last week; more on that at a later date). 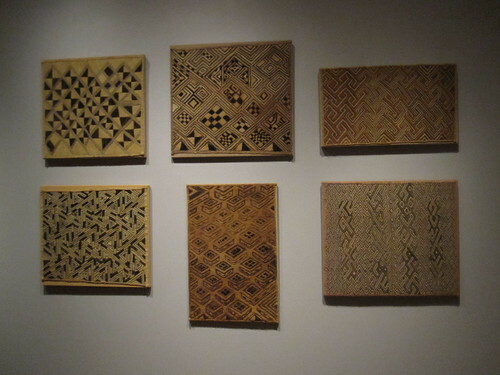 Cidell was in the same cape, a pattern from BWOF 8-2008, in the shorter version. I just love her bright turquoise with hot pink lining! The feather fascinator in her hair is just the perfect touch, isn't it? Everyone in the crowd was dressed to the nines! 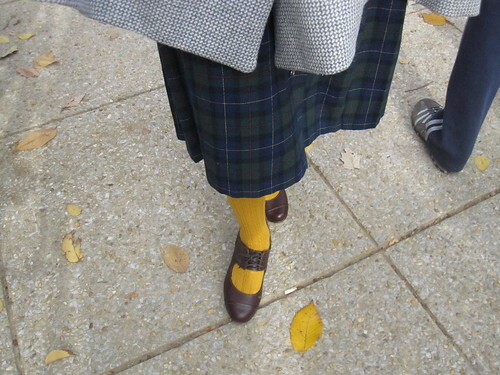 I am amazed by how much creativity people showed, and just how much tweed resides in the closets of DC. One clever thing several people did was to create "knickers" by wearing regular pants, pulling a pair of long argyle socks over the pants, and then blousing the fabric a little over the top of the sock. 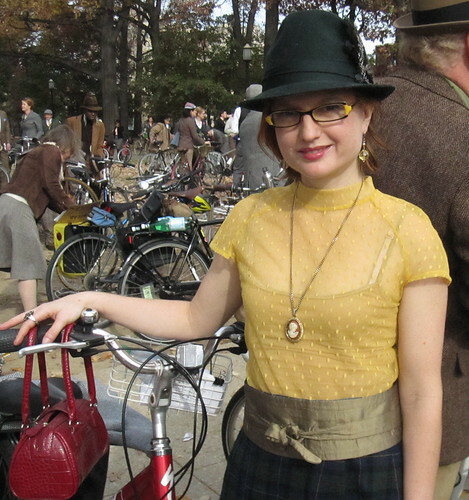 There were hats galore, which I just loved, and so many cute vintage bikes. The people-watching was superb! Our route was so fun. We started at Meridian Hill Park, which is on a large hill (large by DC standards). While you had to get yourself up the hill, after the ride actually started much of it was a comfortable downhill or flat. We visited DC landmarks both famous and obscure. You may recognize this location--Lafayette Square in front of the White House. We also stopped at the more obscure Titanic Memorial. I've visited this before because a friend of mine used to live near it, but it's Southeast Waterfront location has kept it a bit of a secret. It's a strange, ethereal monument, put up in gratitude by the women and children saved by the self-sacrificing men of the Titanic, who stayed on the ship to make more room on the lifeboats. We ended at Lincoln Park in Capitol Hill, where Cidell and I were spotted by a kind blog reader. It's always so fun to meet people who actually read what you write! 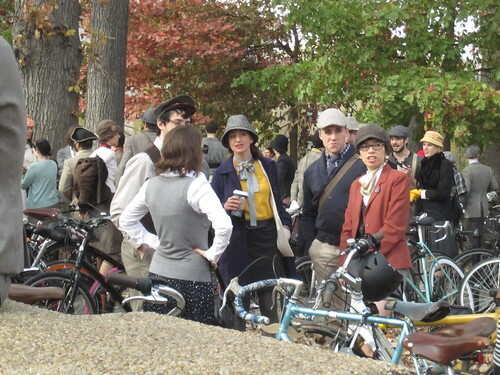 The Tweed Ride is here! 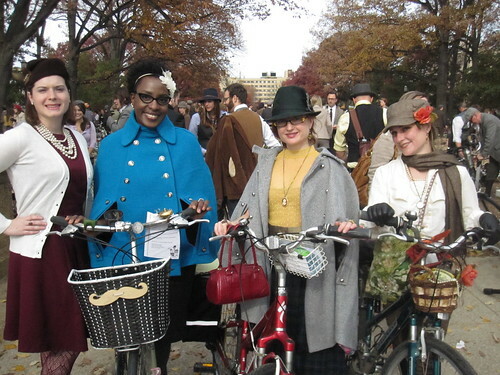 The Tweed Ride is here! I am so excited. 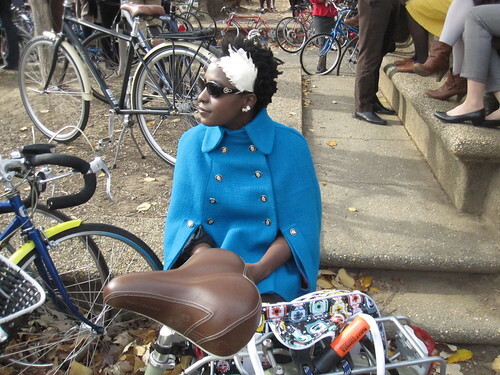 Dandies & Quaintrelles will be hosting DC's Tweed Ride this Sunday, November 13. Registration for the ride is free; the party is $15 (may be sold out). You need to register for the ride in order to get route information. 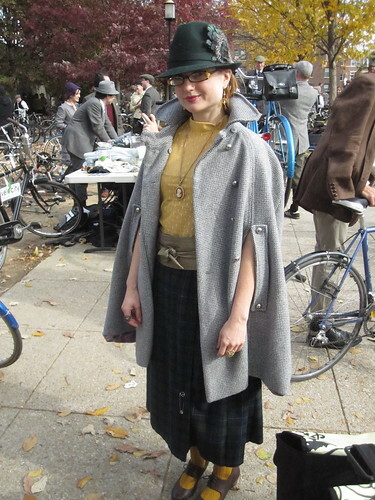 Of course, the most important part of a tweed ride is the outfit. There is definitely no formal dress code, it's just vaguely vintagey/old timey. Check out this flickr pool for inspiration. 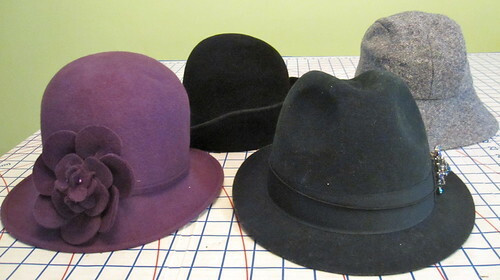 The hat is crucial, and I have several to choose from. I'm pretty sure I'm going with my new green bowler hat from my trip to Ecuador, but how cute is the purple cloche I picked up at the thrift store a couple months ago? But is it as cute as my Japanese pattern fedora? And then there is the fabulous black hat that I bought on my first trip to London at 17 years old (for 40 pounds--I didn't quite grasp the exchange rate, but it has lasted 20 years and still looks good so I suppose it was worth the then $60). Then there is the actual tweed. 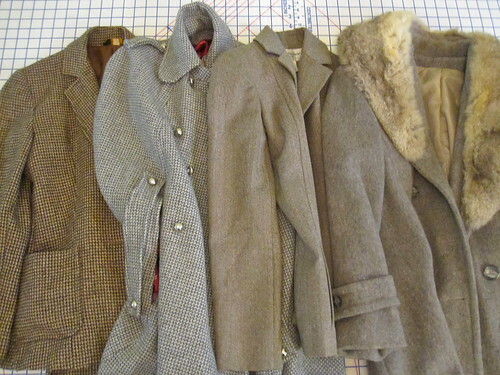 It's supposed to be around 60F/16C so I probably won't need the vintage coat with fur collar (far right) I inherited from my grandmother. I love this beautiful coat but I feel really weird about the fur and have only worn it once, to the ballet. It would be perfect for the ride, but too hot for the weather I think. 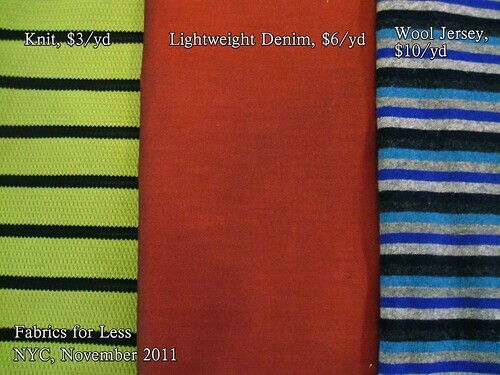 On the far left is a wool tweed jacket I bought from a thrift store in high school. It desperately needs a new lining as well as new buttons, but is very tweedy. Next to it is a cape I made about 3 years ago; I wore it on a trip to Germany but not since as a cape is so darn impractical. You have to carry a handbag, not a shoulder bag, and I just don't do that. 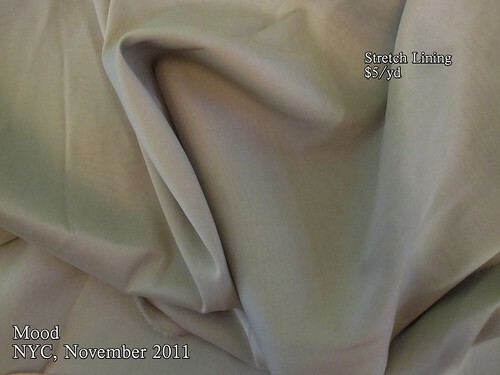 The last option is a fairly generic blazer, but it is a nice fabric and I like the greenish color. 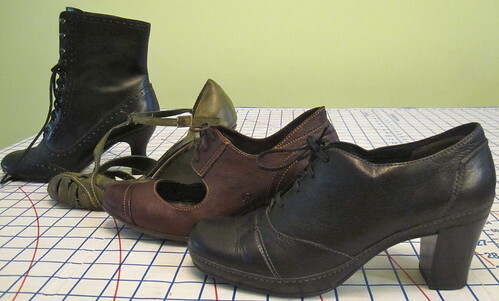 I also have plenty to choose from in the shoe department: two pairs of booties (one black, one brown), a pair of green t-strap wedges, and some cheap but suitably costumey granny boots. One of the many great things about biking is that you can wear uncomfortable shoes and still go great distances! I'm leaning toward the granny boots just because when else am I going to wear them? But I also love the brown booties and they get no wear. The big dilemma is: What about the actual clothes? I'm actually a bit stumped there. 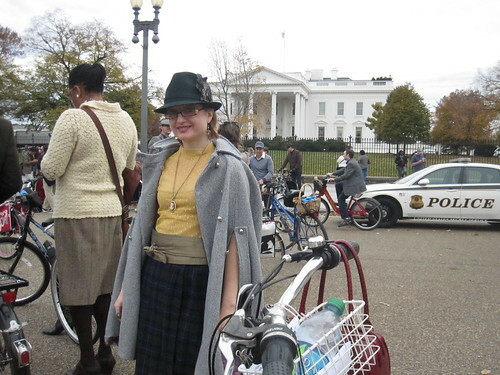 I haven't fortified my winter wardrobe with biking skirts; all my tweedy type skirts are pencil skirts. I might be able to pedal once on the bike, but getting on and off of it and stopping at traffic lights would be extremely unpleasant in a pencil skirt. After much playing of dress up I came up with an outfit of a high-necked lacey blouse, a calf-length wool plaid kilt, and one of my obis, but then the obi would be the only thing I'd made. The blouse is from Ross about 6 years ago and my mom gave me the skirt from her younger years (vintage!). It's a cute and very old timey outfit, but I hate not wearing anything I've made on a normal day, much less to a dress up event! We'll see what inspiration strikes that morning. *Voting is for novelty and entertainment purposes only. The Slapdash Sewist will wear whatever ends up pleasing her, regardless of majority rule. I have not owned shorts for many years. I mean, I have the old denim shorts I use for painting and really dirty chores, but nothing I'd wear in public. Even my exercise shorts are years out of date and therefore worn only in extremely dire (90+ degrees) circumstances. But when I planned a hiking vacation, I figured it was finally time to bit the bullet. 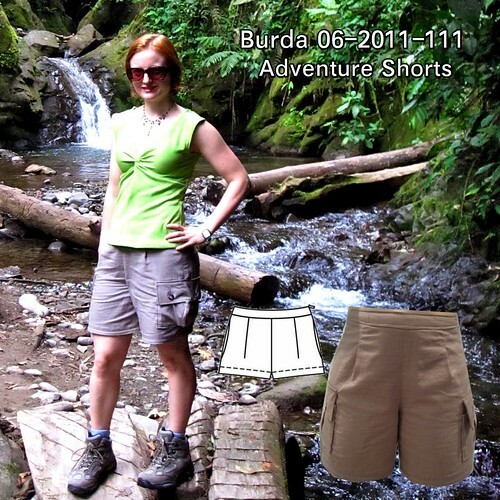 I knew Burda had been publishing some cute shorts styles, so I went through back issues and found Burda 06-2011-111 in the Brigitte Bardot feature. While shorts are not the first thing that come to me when I think of Ms. Bardot, these are nice shorts. I like the side zip (no scary fly situation), back darts, and front released darts. Pleated pants are always a gamble, but in this case that front released dart is small and looks nice rather than Mom Jeans. I cut the shorts straight off the pattern sheet in a 36 at the waist and a 38 at the hip with no alterations other than lengthening. The inseam is meant to be 4 inches; mine is 7. Actually, that's not true. Given my experience with Burda pajama pants, I added 1.5 inches to the top of the back at center back, tapering to nothing at the side seam, to accommodate the booty. But when the shorts were put together it turned out I didn't need the extra height and I cut it off to the originally drafted line. I was pretty impressed with the fit, given that I made no alterations. The back crotch fits well. The front crotch is slightly long, at least I assume that's the proper description when the back crotch hugs the curves (with comfortable wearing ease) but the front crotch hangs down about an inch too low. When I saw the back photo I was slightly less pleased. 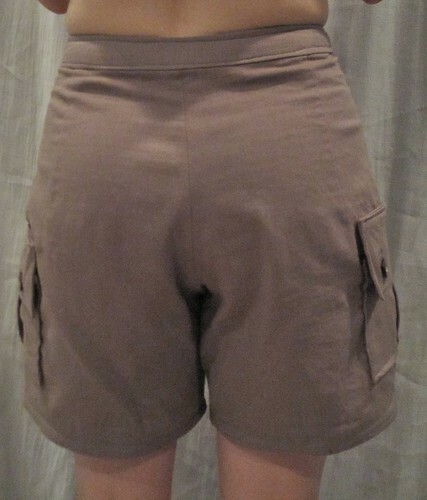 I mean, for the adventure shorts I think the fit is totally fine, but if I were making real pants, which I am considering doing this winter, I would want to deal with that folding that goes toward the inner thigh. Wrinkle-reading gurus? 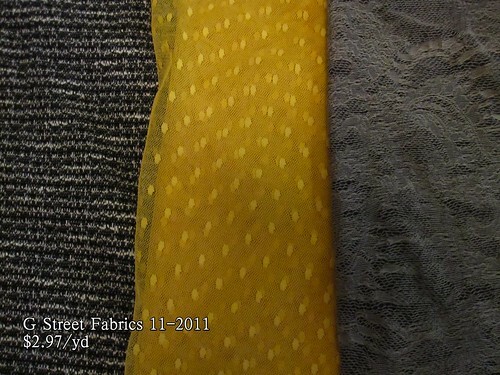 The fabric is something I found in stash. I have no idea how long it's been in there, but I'm certain I've had it at least five years and likely much longer. I have no idea where I got it or how much I paid, nor the fiber content. 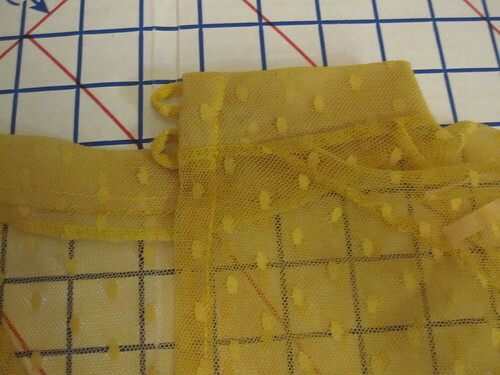 It is a really interesting fabric--it's a double layer fabric and when you look closely there are rows of tiny pinholes spaced fairly close together. They obviously have something to do with how the layers are kept together. While the fiber content is a mystery, it is a natural fiber according to the burn test and I think it is probably a linen or linen blend based on how it behaves. 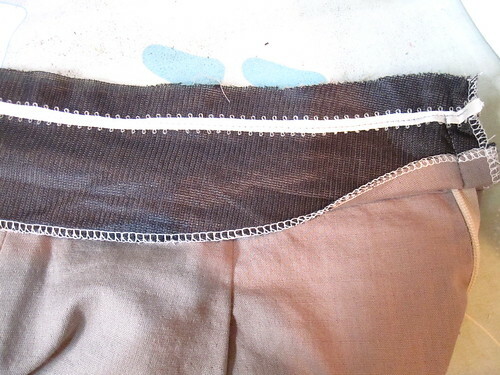 Whatever it is, despite the double layer it is a fluid fabric that I did not trust to stay stable, so I stitched a length ribbon at the upper edge of the waistband, where the outer and inner waistbands are joined at the top. The waistband did not stretch while wearing it during fairly strenuous activity on the trip. I realized while stabilizing the waistband that I probably should have stabilized the crotch as well. 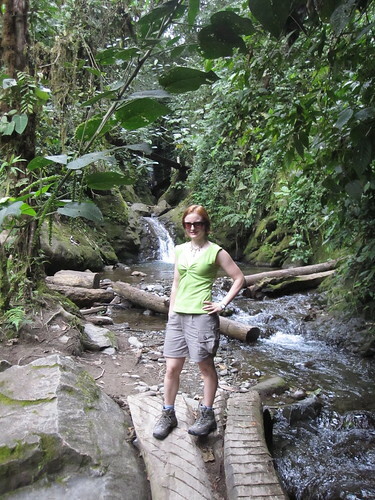 However, as I mentioned in my Ecuador post, these were Adventure Shorts in more ways than one! I took my sewing machine into the shop several weeks ago and borrowed a vintage machine from a friend. The machine was not enjoying sewing through all the layers of the shorts, so I fired up the treadle machine I bought for my birthday a couple years ago. The topstitching on the waistband is too bad to show--the treadle has incredibly heavy presser foot pressure and it created diagonal wrinkles between the upper and lower edges of the waistband. The treadle got the job done, but I did not want to try to get too fancy and go back into the crotch seam to add a stabilizer. It turns out that shorts are not as bad on me as I feared. I do not think I will be adopting them as any kind of uniform, but for occasional outdoor activities they totally work. I think I will use this pattern again if shorts are still in style next summer. There's a limit to how short I can wear them, given the extreme whiteness of my legs, but I think I could take a couple inches off the inseam and be both stylish and flattering. 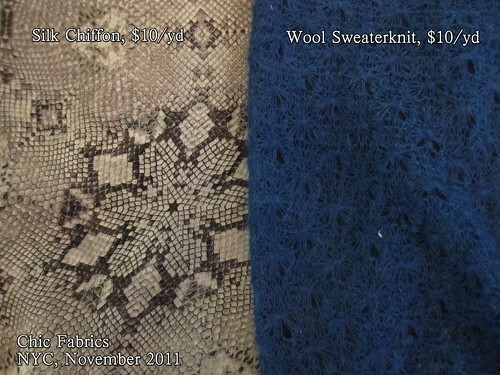 This review is a little late in the year to be useful for the Northern Hemisphere (though shorts with tights and boots can be cute), but Aussies looking for summer patterns should have at it! 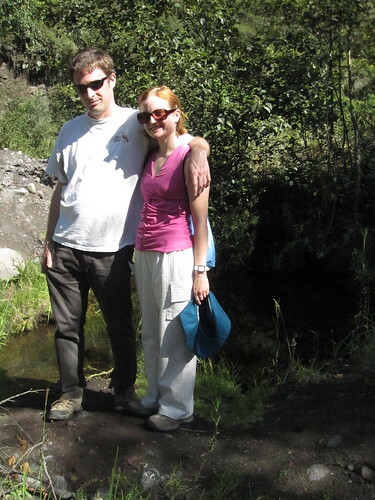 Back from Ecuador: Adventure Shorts, Jungle Pants, and Bowler Hats, Oh My! I am home safely from my wonderful trip to Ecuador. There was a lot of hiking, some ziplining, and even some horseback riding, which was truly comical. An equestrienne I am not (Betty Draper makes it look so easy...). You'll recognize the tops from my bike trip to the Netherlands. 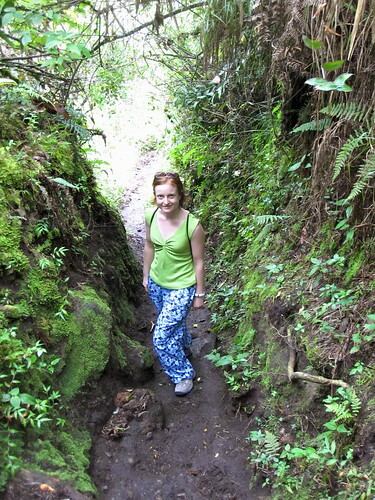 For hiking I figured I should break down and actually wear shorts and pants, rather than my usual skirts. I took my machine in for service a few weeks before the trip but *needed* just a few new things for the suitcase. First up were my Adventure Shorts. I will review them eventually. Suffice it to say that the sewing machine that was graciously loaned to me did not enjoy sewing them and I actually busted out the treadle. They are not my most well-made item ever (the treadle has incredibly heavy pressure on the presser foot that caused pulling and wrinkling on the waistband topstitching) but they were Adventure Shorts in more ways than one! These got the seal of approval from my travel companion. One morning when I put on a pair of Jungle Pants, he actually asked, "No Adventure Shorts today?" I thought it was so cute that he used their proper name. Then I made not one but TWO pairs of Jungle Pants. Jungle Pants are lightweight cotton pants that cover the legs against bugs and brush but allow for air circulation under steamy tropical circumstances. I also added another top to the mix, but apparently didn't get any photos of myself on the days I was wearing it! Must inquire with my travel companion. We stayed in the Old Town of Quito ("Centro Historico") near the Plaza Santa Domingo, and we turned out to be in the middle of the Garment District! 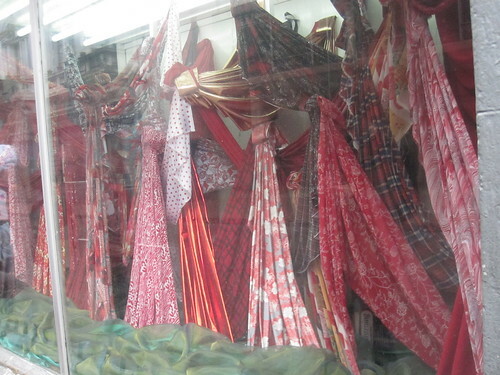 There were lots of fabric shops, many of them combination fabric shop and custom clothing store. Cidell and I had just been lamenting that we wished it was possible to buy a suit jacket and then a length of fabric for making your own skirts, pants, or dress. I should have looked into that in Quito, though I think it's not like Asia where the sewing happens in a day or two. 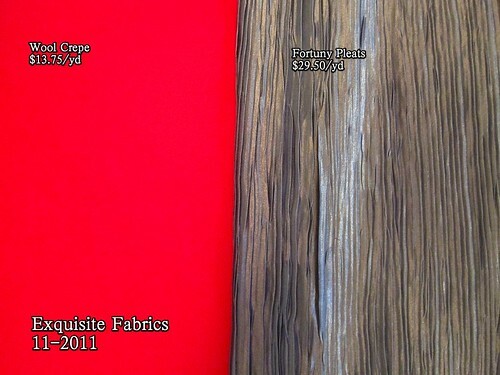 The fabric stores all had enticing displays in the window, as at right. I went into a couple but *gasp* didn't buy anything. 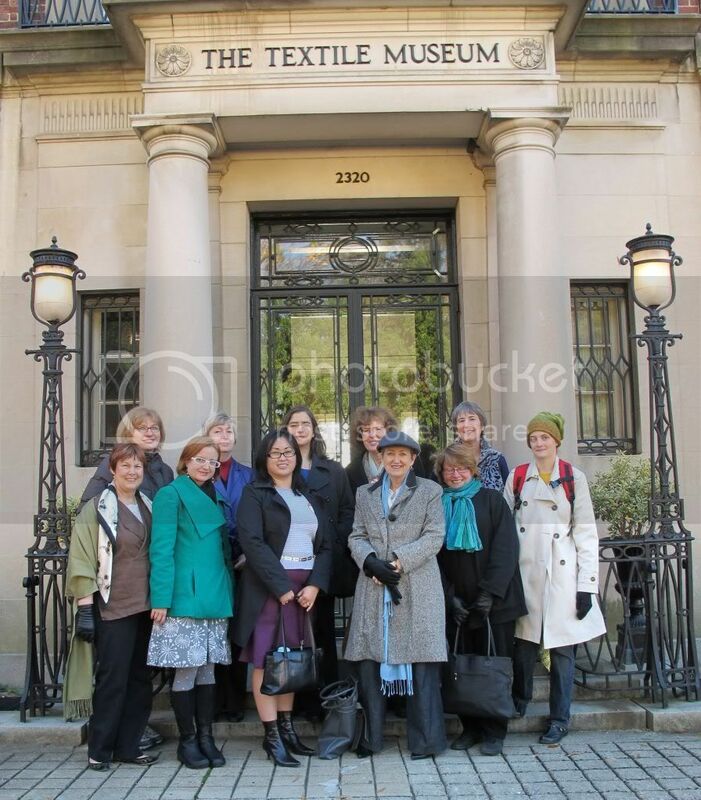 The fabrics were generally very nice English and Italian wools (with fancy woven selvages bearing their country of origin), shirtings, and colorful polyester prints. I couldn't find anything that was made in Ecuador or that seemed very special (English wools are definitely special, but not to Ecuador). 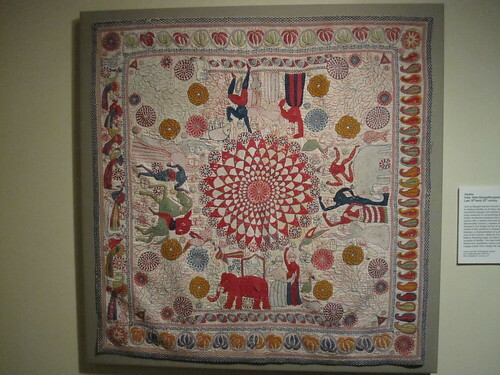 I already had my souvenir (described below), so I passed on a fabric souvenir--I would have been buying just to buy, not because I found something I loved. I was very much inspired by the traditional dress. 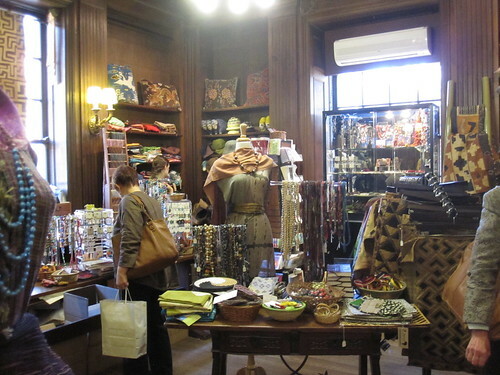 There is a short description of traditional Ecuadorian Andean dress here. The women wear a dark, knee-length dirndl skirt, light colored stockings (usually white), and low heeled black shoes, generally in a brogue or what we now call "shootie" style. The blouses are generally white, but aren't seen very much as they are covered with a shawl, generally dark but you see the occasional brightly colored shawl. 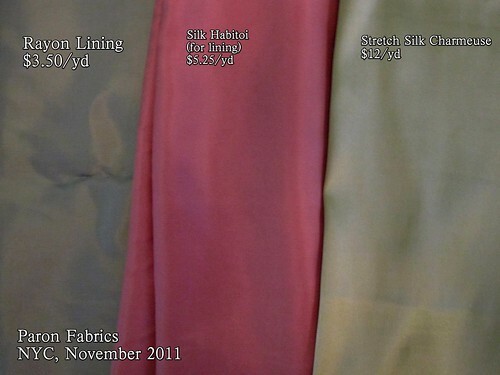 99% of the shawls I saw were solid colored. The crowning glory is a bowler hat with a narrow brim (2 inches at most), turned up in the back and flat in front, with two dimples in the crown at the front. A long braid is worn down the back, coming out of the hat. I did not want to take pictures of people without their permission, assuming there would be thousands of examples on the web. Not so! I can't find anything truly representative. 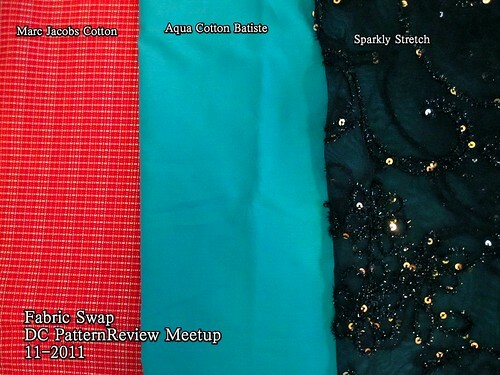 The photo at left is close, though her shawl is smaller than most and would generally cover the top and I never saw anyone in a print skirt (they were a bit fuller, too). 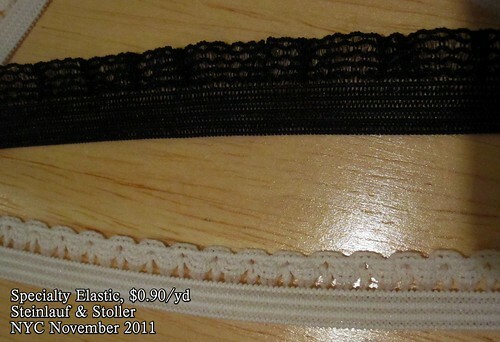 The photo at right shows the back (though the skirt is longer than most). While I still think that the sari is the most beautiful traditional dress I have encountered, the women of Ecuador in Andean highland dress is one of the most dignified things I have ever seen. They just exude thousands of years of civilization. Amazing. This was only worn by older women. I don't know if it's not adopted until one gets older or if the tradition is dying out in favor of track suits and jeans as everywhere else. I really hope it's the former. My favorite part was the hat so I had to get one of my own. 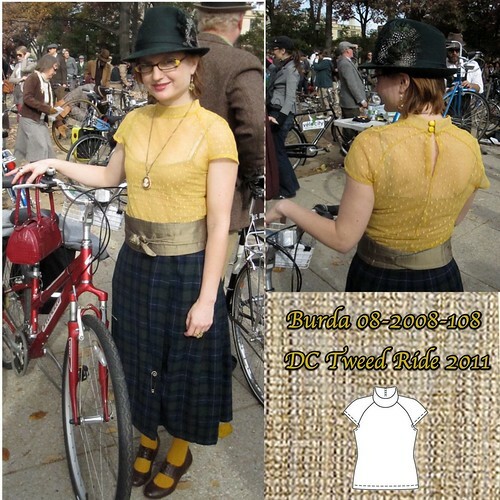 It is forest green and will be making an appearance at this year's Tweed Ride, Sunday November 13, woot! It does not look anything close to the authentic on me--I don't have the right demeanor or the long dark braid--but I love it so. Blog Housekeeping: I know some people have been having trouble with comments. I finally had a chance to investigate and it appears that Blogger has a bug in its comment form that is embedded at the bottom of the post. I switched to this a few months ago because it's cleaner. I've gone back to the pop-up format, which appears to have fixed the problem for most people that were experiencing it. Sorry it took me so long to deal with it!